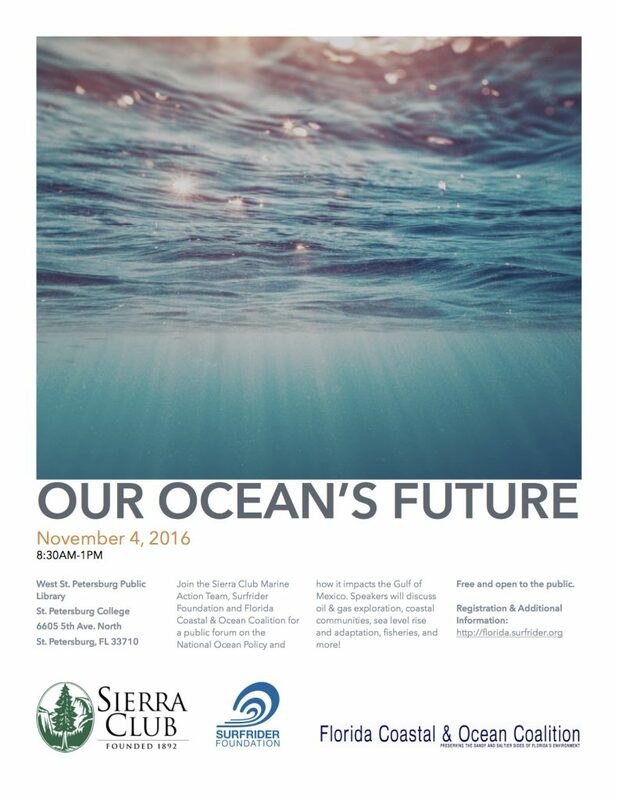 Join the Sierra Club Marine Action Team, Surfrider Foundation, and Florida Coastal & Ocean Coalition for a public forum on National Ocean Policy in the Gulf of Mexico. Speakers will discuss oil & gas exploration, seismic testing, fisheries, coastal communities, adaptation and sea level rise, and more! There is no cost and the event will include lunch. Note- this event will also include an optional field trip to explore Tampa Bay ecosystems following the forum. When registering, please indicate your interest in attending a field trip. Details to follow.